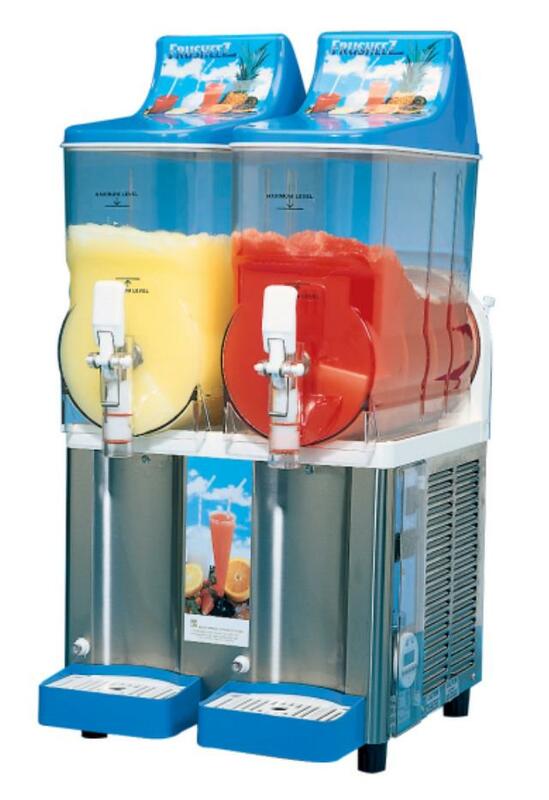 The possibilities are endless with our frozen drink machine. Add any of our in stock snowball flavors (available for an additional cost) to make 6 total gallons of frozen drink delights! Machine takes approximately 45 minutes to 1 hour indoors before the 1st drink is ready to be poured. Add a fun element to any family or kid party, or spice up an adults only event by adding your favorite alcoholic beverage to the machine. * Please call us for any questions on our frozen drink machine rentals serving Baltimore and surrounding communities in Central Maryland.